You are here: Home / Jewelry / Tiaras and hair ornaments / Rose gold and pink diamond headband. 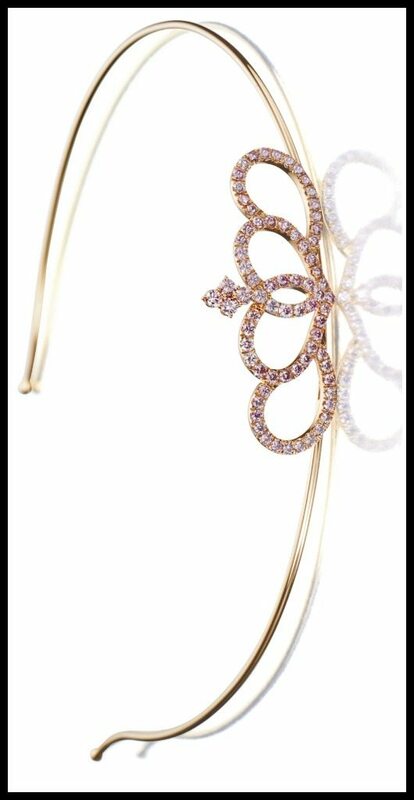 Rose gold and pink diamond headband. Happy new year, darlings! I hope you had a fabulous end of 2013. Did anyone wear any fabulous jewels for NYE? I bet you did. I want to hear about them. Let’s kick things off in style. 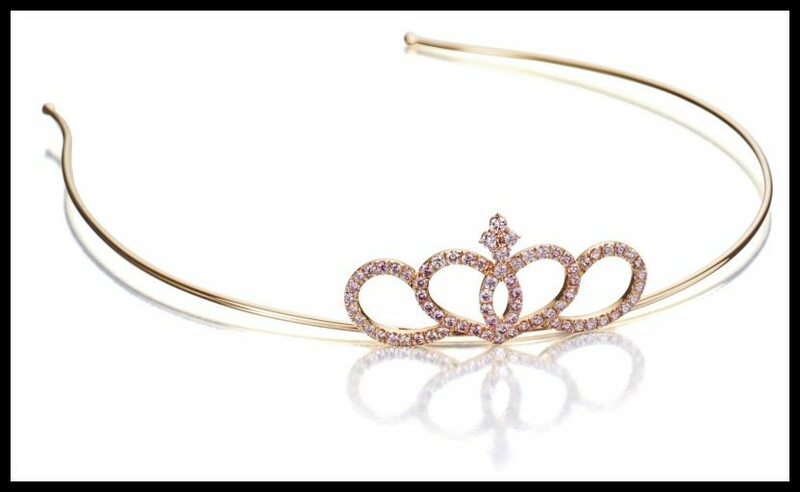 This rose gold and pink diamond headband is somewhat twee, but it’s so gloriously Blair Waldorf that I can’t help but love it. The whole piece – both the hair band and the decorative element – are made of 18 karat rose gold. Sotheby’s calls the decorative element “openwork coil” but I find the design to be very evocative of a row of hearts. (Maybe the color scheme is influencing my perception.) Either way, that openwork coil is pavé-set with 4.5 carats of brilliant-cut pink diamonds. A closer look at the decorative element. Do you see the hearts, or does it strike you as abstract loops? A more interesting question: who do you imagine is the intended audience for this piece? Do you picture it on wealthy teenage queen bees like Blair Waldorf, or do you imagine it as part of a hairstyle on a more mature woman? There can’t be too widespread a demand for this kind of thing, because I feel like most of the people who would want to wear it are too young to afford it for themselves. It sold for quite a bit of money – $16,102 – in Hong King three years ago. Maybe I’m underestimating the wealthy tweens of the world. For the record: I would wear this in a heatbeat, and I’m no tween. What do you think of it? 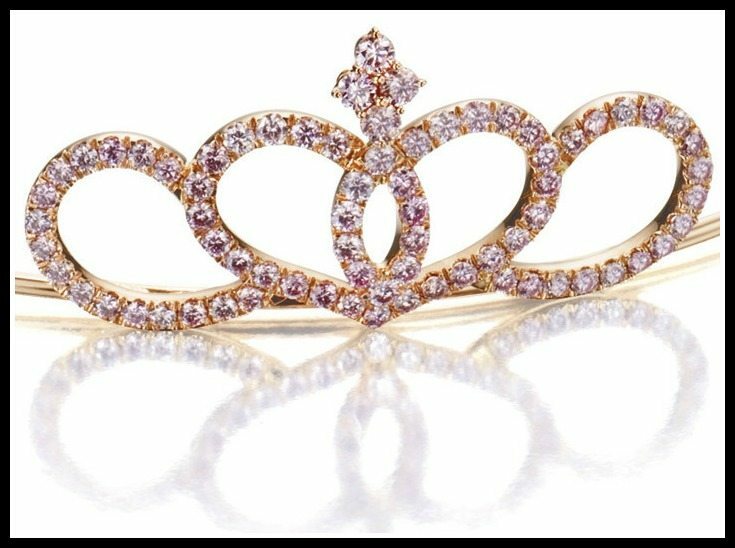 This rose gold and pink diamond headband was sold in a 2010 Sotheby’s auction. All images and info are thanks to Sotheby’s.